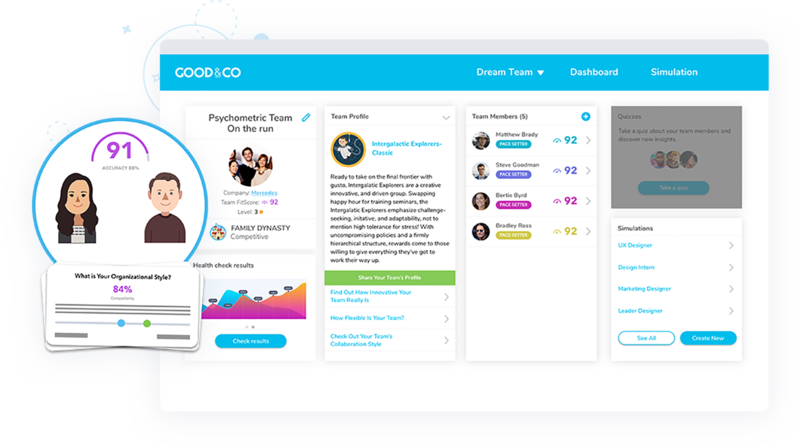 Make culture fit a competitive advantage with Good&Co’s powerful culture analytics tools. commitment to both by claiming your Company Page on Good&Co! Once claimed we’ll start generating your complimentary Company Culture Report. As soon as we’ve compiled enough data, you’ll receive an in-depth report featuring organizational strengths, key traits, and actionable tips for success. With over 50 million questions answered by more than one million professionals at more than 10,000 companies worldwide, we’ve earned bragging rights as the world’s largest psychometric database. Ready to leverage the power of TeamWork? Discover how your team's strengths! Using the positive culture insights provided on your Company Page, job seekers can learn more about what it takes to thrive in your organization. 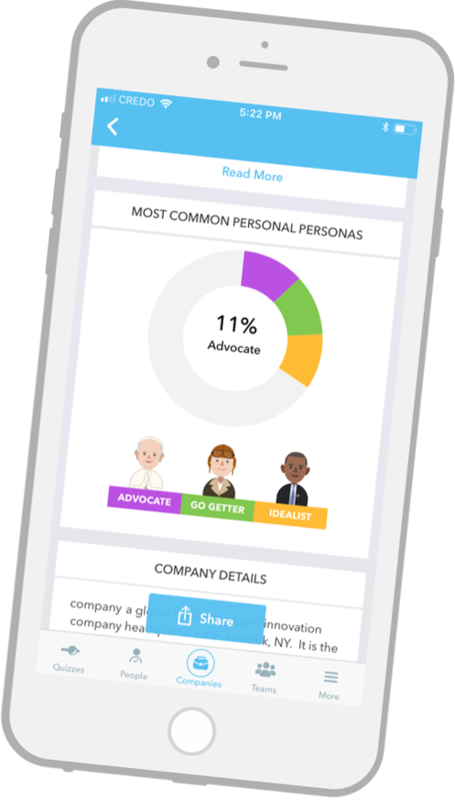 Thanks to our FitScore tool, they can even check their overall compatibility score, empowering potential applicants to make smarter career decisions, while help you attract better informed, highly-compatible candidates. Our groundbreaking platform aims to improve efficiency during the screening process by allowing you to assess each applicant’s overall compatibility before booking an interview, enabling you to devote your time to high-fit candidates. Job Seekers need more insight than the often opaque information provided in a job description or company profile. Good&Co provides the transparency needed on both sides that enables better culture fit for both candidates and companies.